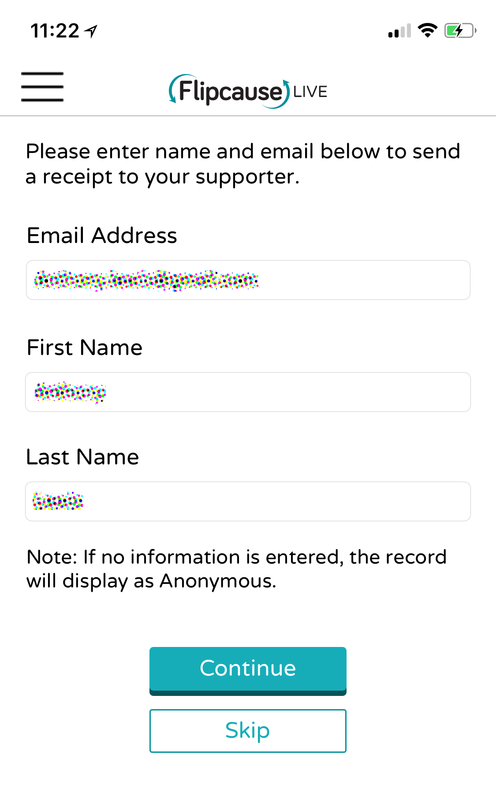 If your supporter would like a receipt for their records, enter their contact information then tap the CONTINUE button. 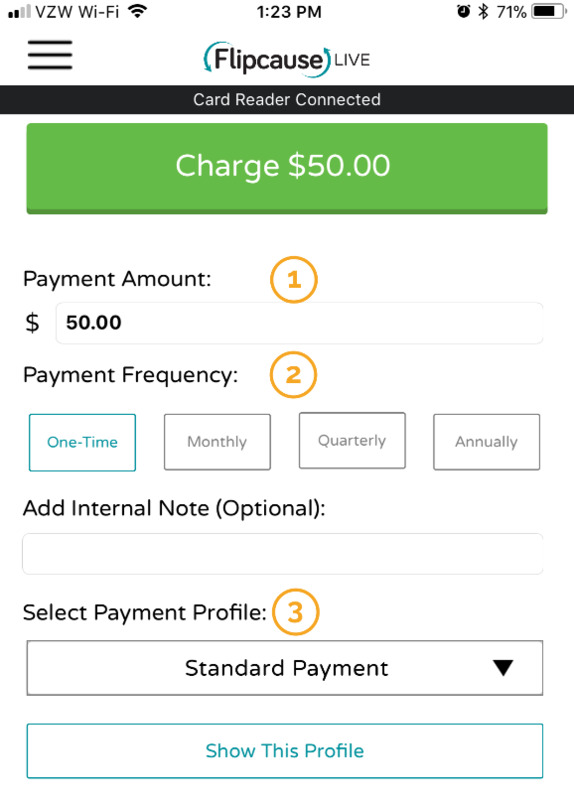 Select SKIP to proceed directly to the Payment Options screen. 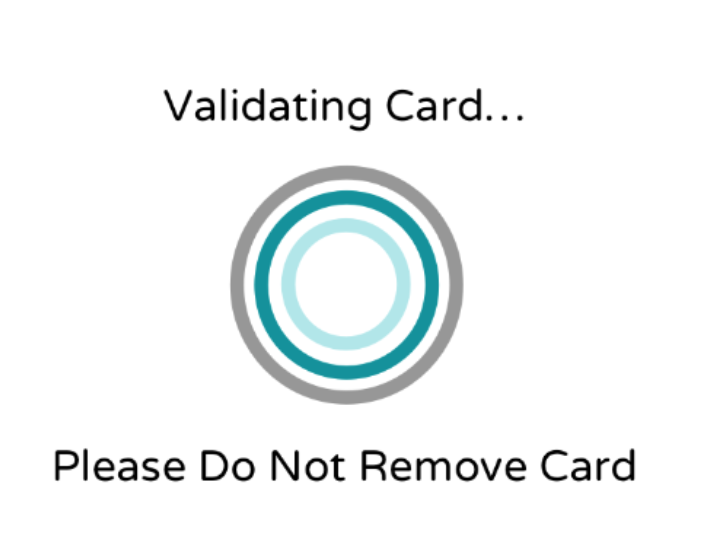 If no information is entered, the record will display as Anonymous. 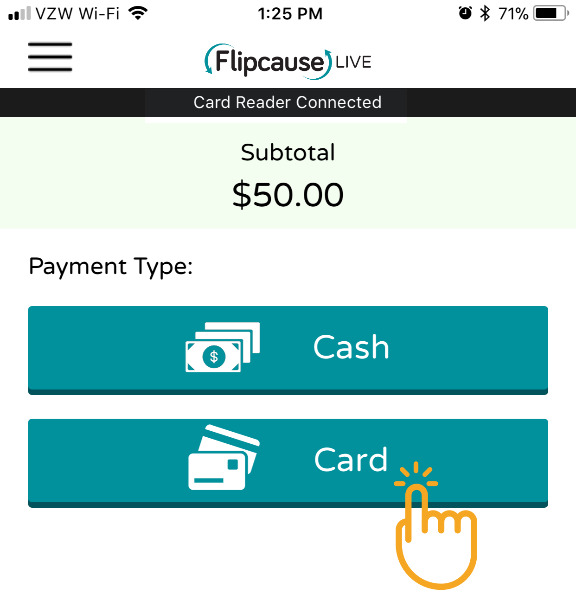 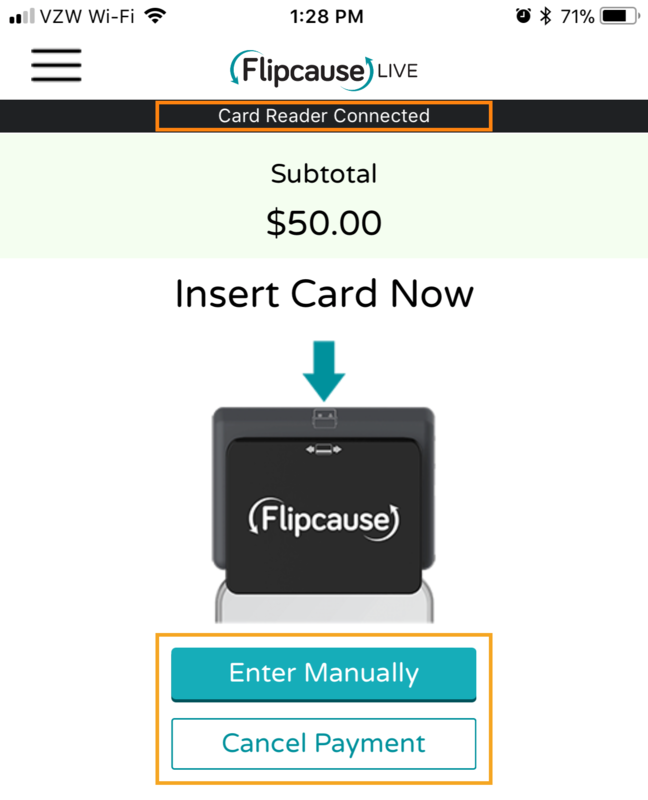 Tap the CARD button under Payment Type to proceed. 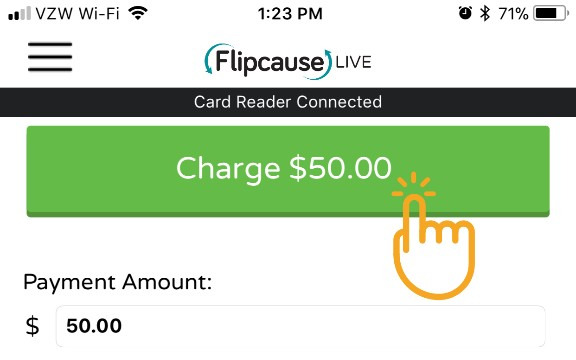 Double check to confirm that the black banner at the top of your screen reads "Card Reader Connected".